69.23% of people buy Metal Gear Solid: Bk. 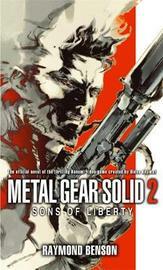 2: Sons of Liberty and Metal Gear Solid ~ Paperback / softback ~ Raymond Benson. Great book, remains faithful to the series must have for any fan! "I want the next one!" Great book I hope they adapt the rest of the series.